This week on The Bugcast: a 50th birthday, Butch Cassidy’s screenwriter dies, Dave remembers a song, and we play 8 tracks of Creative Commons music from The Freak Fandango Orchestra, Kristian Vuljar, The Madpix Project, AR Oficial, The Same Persons, Viper ITB, The DŁX, and Icon Girl Pistols. This week on The Bugcast: we feature our Listener’s Choice of the best track from the past year. Tracks chosen from Anne Davis, Thoola, The Freak Fandango Orchestra, I’m Fresh, You’re Pretty, Marc Reeves, Michael McEachern, Iced Blade, Beautiful Mess, Fallen To Flux, and ProleteR. 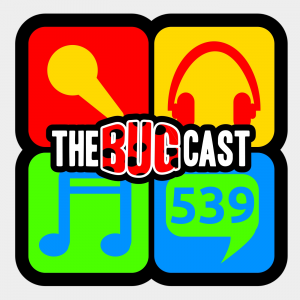 the bugcast 315 – Live or not? This week on The Bugcast: Lenovogate, miming, a plethora of upcoming events, and 8 cracking tracks of independent and Creative Commons music from Andy Hawk & The Train Wreck Endings, The Freak Fandango Orchestra, Daniel Admon, Robin Grey, Lew Bear, Farmertan, James Corachea and Evilcrosses. Welcome to NaPodPoMo Day 29! We have some news about our impending! Freeky Cleen & Dickey F, Tequila Mockingbird, Calle N, 5 State Killing Spree, Emerald Park, Eva, The Freak Fandango Orchestra and The Larsens Lupins. The penultimate update on our respective NaMo projects, rants, raves and Flattrs, along with 8 great pieces of music from Steep, Ten Year Vamp, Jamie Rumley, Houdini Roadshow, Leslie Hunt, The Freak Fandango Orchestra, Chronique and The Mystery Artist.